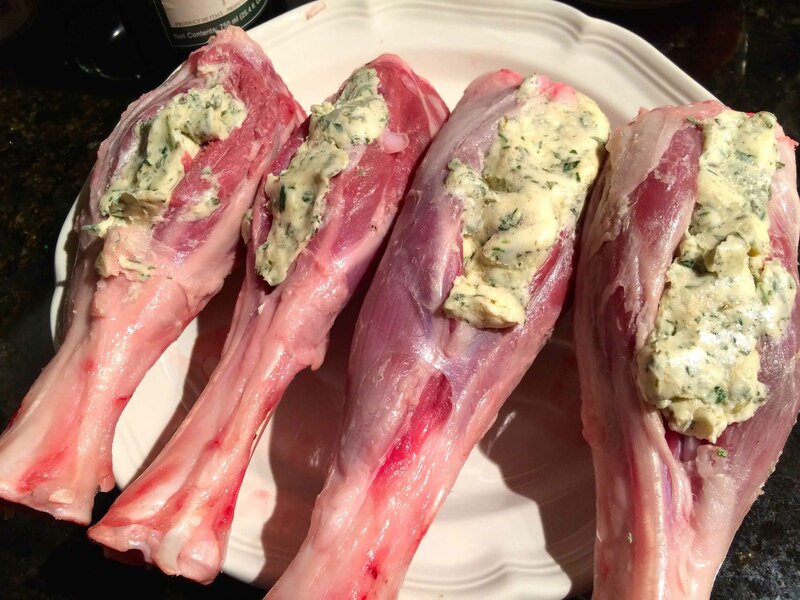 Our local butcher had some really good looking lamb shanks on Saturday that I could not resist. Originally, I thought I would braise them, until I came across a recipe from Jaime Oliver’s Cook with Jaime. This recipe calls for baking them, stuffed with some herb butter, atop of bed of finely sliced aromatics moistened with a few splashes of white wine, in individual foil packets. What I liked especially about Oliver’s approach was that it highlights the meaty flavor of the lamb. Unlike as in so many braising recipes, there are no spices, tomatoes, or broth. 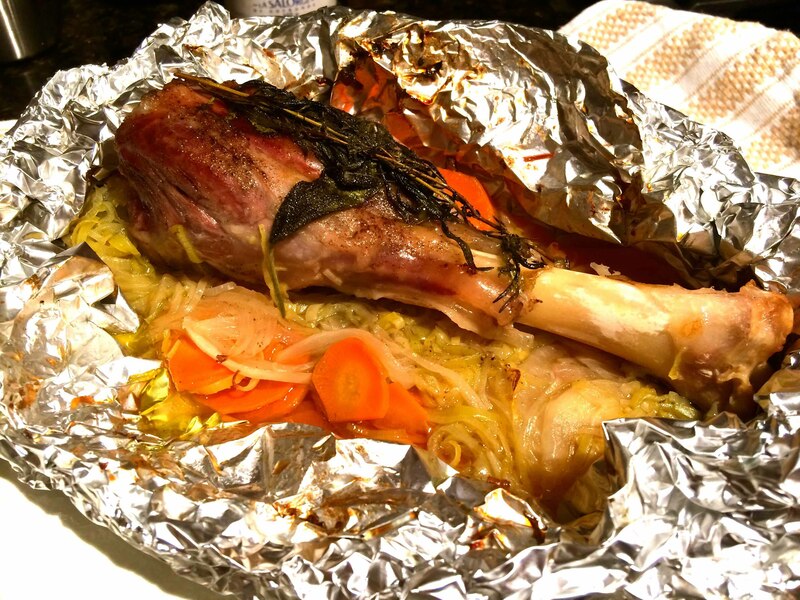 Once again, my poor timing had us dining quite late so I served the shanks, as suggested in the recipe, in their foil packets, with a side of couscous with raisins. Note: I recommend using a mandolin to cut the leek, onion, and carrots into uniform 1/8 inch slices to ensure even and thorough cooking. Pick the leaves off 2 sprigs of rosemary, pulse them with the butter, most of the sage and the thyme in a food processor and season with salt and pepper. You want to have a few sage leaves and thyme leaves to add with the remaining rosemary springs to the individual packets. 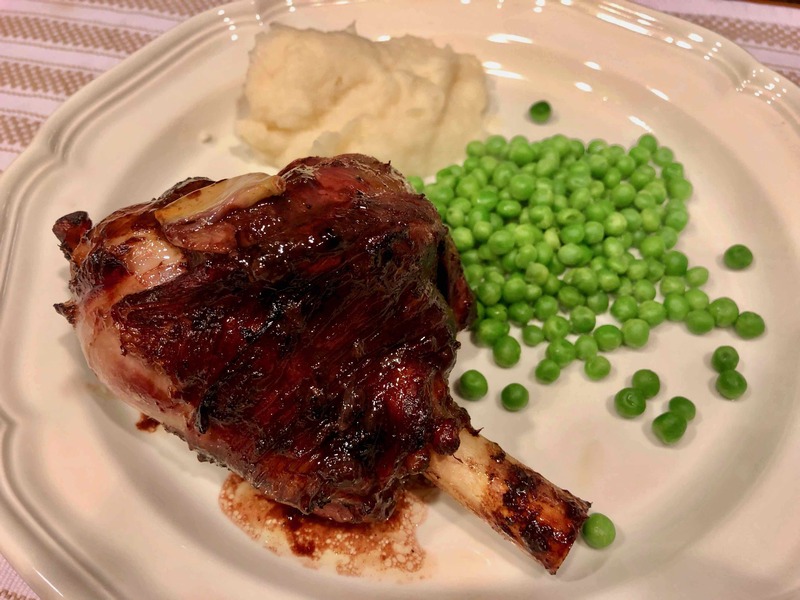 Using a small knife (I used a boning knife), take one of the lamb shanks and cut between the meat and the bone from the base of the shank upwards. You want to create a hole big enough to put your finger in, making a sort of pocket. 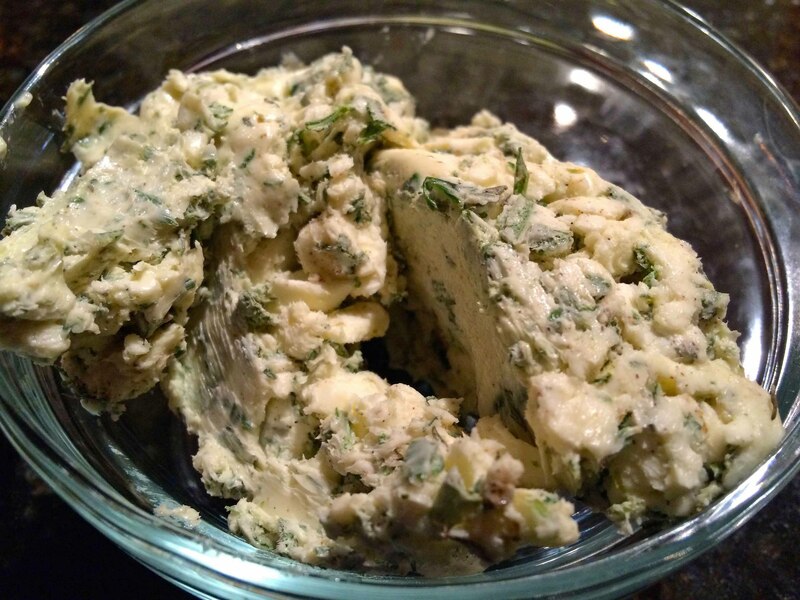 Do this to all the shanks and divide the flavored butter between them, pushing it into the pockets. This will give a wonderful flavor to the heart of the shanks. Tear off four 12” x 16” pieces of heavy duty foil. Divide the garlic and veg between them, making a pile in the middle of each piece. 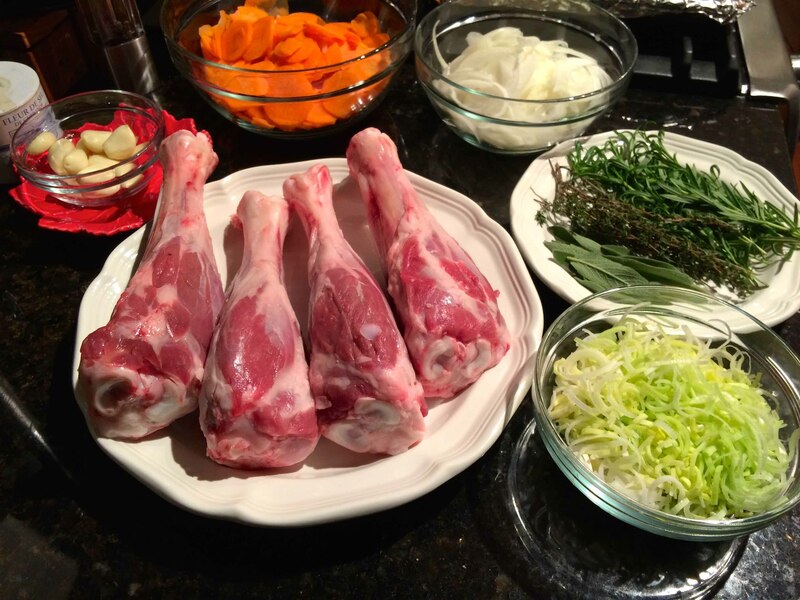 Rub the lamb shanks with olive oil and season with salt and pepper, then put one on top of each pile of veg and a sprig of rosemary and a few sage leaves on top of that. 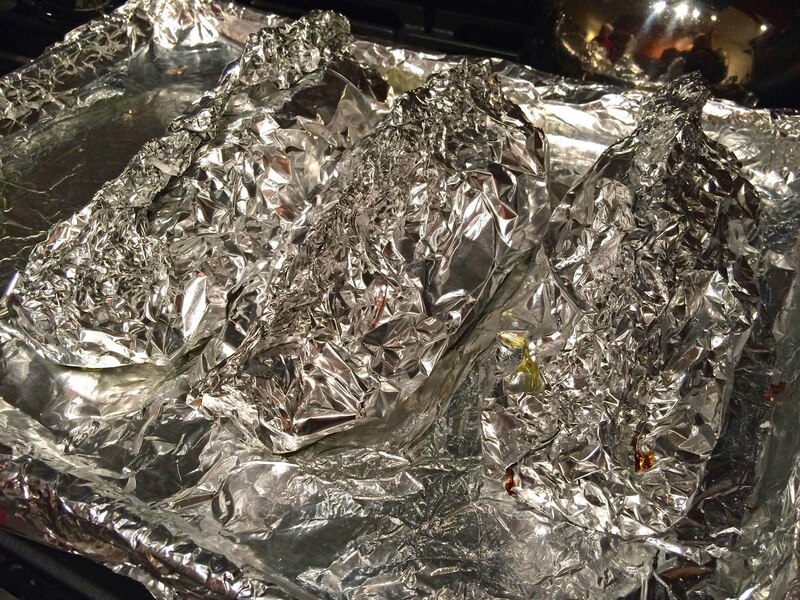 Carefully pull up the sides of the foil around the shank and pour a swig of wine into each. 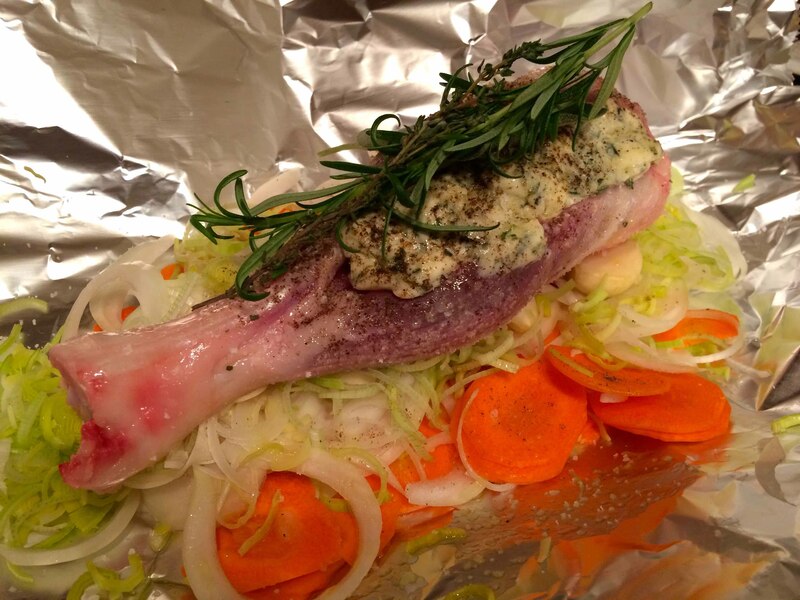 Gather the foil around the bone, pinching it together tightly. Any excess foil can be torn or cut off with scissors. Repeat for all 4 shanks, then place the foil parcels on a baking tray with the bones facing up. Put in the preheated oven for 2½ hours or until the meat is as tender as can be. Serve the parcels in the middle of the table so that your guests can open them up themselves.